St John's Church is an Anglican Church on Church Street in Highbridge. We are an open and welcoming church. 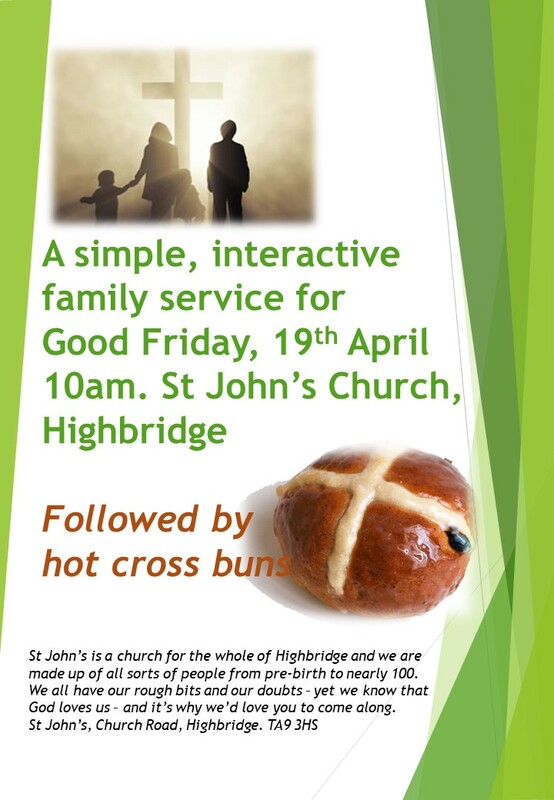 We are here to be available for all in the parish of Highbridge, and beyond. The church is open daily throughout the week from 9am to 5pm (approximately). You are very welcome to come in and take some time to sit and pray, or just sit... You can find Sunday worship times by clicking on the box on the right. Please browse around the site and perhaps come along to share the life of Christ together. 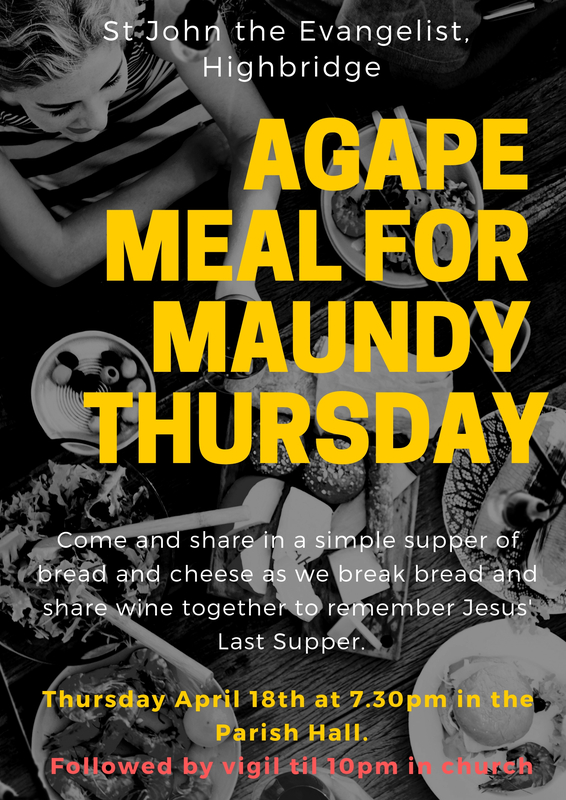 Come and join us on our Easter journey. 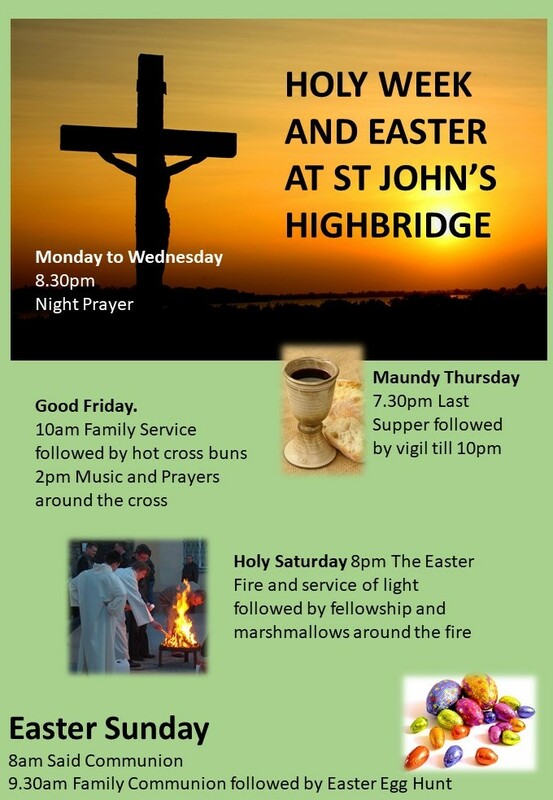 We have a range of services to take us through Holy Week.